On November 26, 2013, three terrorists belonging to a terrorist operational cell affiliated with Hizb ut-Tahrir were killed in an operation carried out in Yatta/Hebron by Special Forces of the Israel Security Agency (Shin Bet), in cooperation with the counter-terrorism unit of the Israel Police Force. The group, which was active in the area, was apparently about to carry out a terrorist attack. Two guns and several explosive devices were found in their vehicle. This operation was closely preceded by the arrests of several members of the terrorist group from Yatir and Nablus. 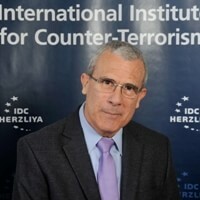 Investigations carried out to date by the Shin Bet reveal that members of the group were planning to carry out terrorist attacks against Israeli and Palestinian Authority targets and, in recent months, had established extensive military infrastructure, prepared a hiding place, purchased weapons, and produced explosive material. Mohammed Fuad Jamal Neirukh, age 30, a resident of Hebron, a former Hamas operative, who was imprisoned between 2003-2009 after asking to carry out a suicide attack, undergoing military training, and recruiting others to the military wing of Hamas. Moussa Mohammed Moussa Mahamra, age 22, a resident of Yatta/Yatir, who had purchased a weapon for use by the terrorist group. Mahmud Khaled al-Najjar, age 22, a resident of Yatta/Yatir, had prepared an apartment as a safe house to be used for terrorist activities. This operation marked the first time that Israeli Defense Forces had encountered armed members of Hizb ut-Tahrir in the West Bank, who were in the advanced stages of planning to execute a terrorist attack. 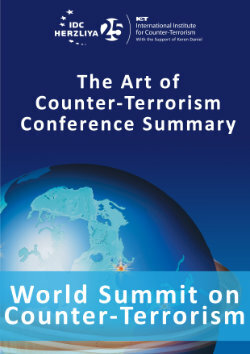 This is the first time that a distinct and material change of the organization's modus operandi is being identified, so far the Hizb has not taken practical steps to build terrorist capabilities in the West Bank and settled in fierce radical Islamic Dawah activities, rallies, demonstrations and propaganda while adopting significant ideological and visual motifs of Al Qaeda.